From the moment I first put on a pair of skates and picked up a hockey stick all I wanted to do was play ice hockey. I loved the game, the training, the practices, everything about skating on that ice. However, at some point it has to come to an end and for me that time is now. After playing hockey for over 30 years, 15 as a full time professional this upcoming weekend shall be my final regular season games as a hockey player, as a Belfast Giant. I have talked many times about how amazing this game is, how grateful and lucky we are to be able to play a game every day. I have been able to travel the world, play with and against some of the best players on the planet. I look back on the last 30 years and I am so thankful for all the memories and friendships I have made. I never thought this day would actually come, heading into this season I felt like I could play until I was 45! But the time is right and I am looking forward to the next chapter in my life. 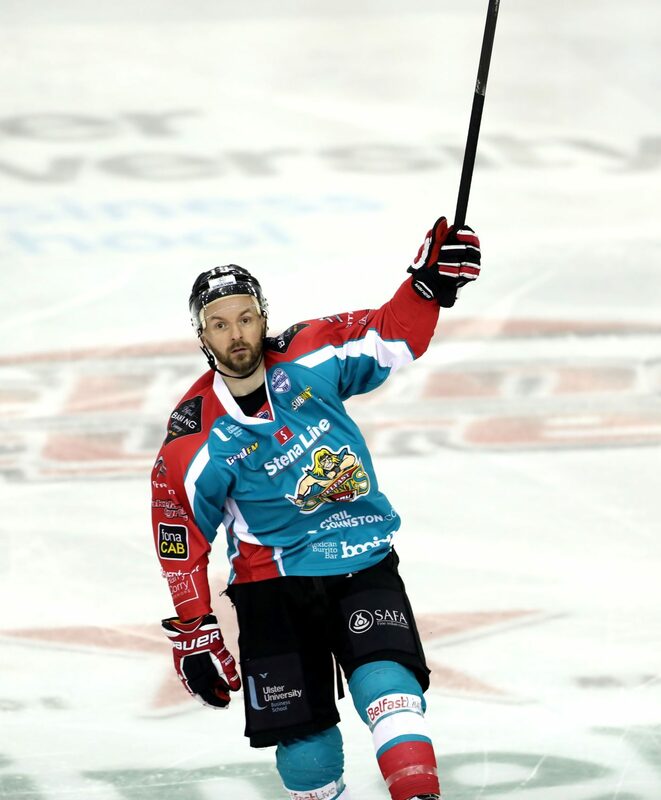 After 11 seasons as a Belfast Giant, it is no secret there is something special about being a Giant and I am proud to call Belfast my home. I would like to thank the organisation, The Trust, Robert, Eric, Steve for all they have done for me since taking over. In those early years I don’t think we would have been here if it wasn’t for Jim Gillespie and family. A truly special man who we owe a great deal of gratitude. All of my coaches since that first day I laced up my skates, your mentorship and teaching has helped mould me into the player and person I am today. The backroom staff, equipment managers, the best of course Jason Ellery, without you we wouldn’t be able to do our job, thank you! 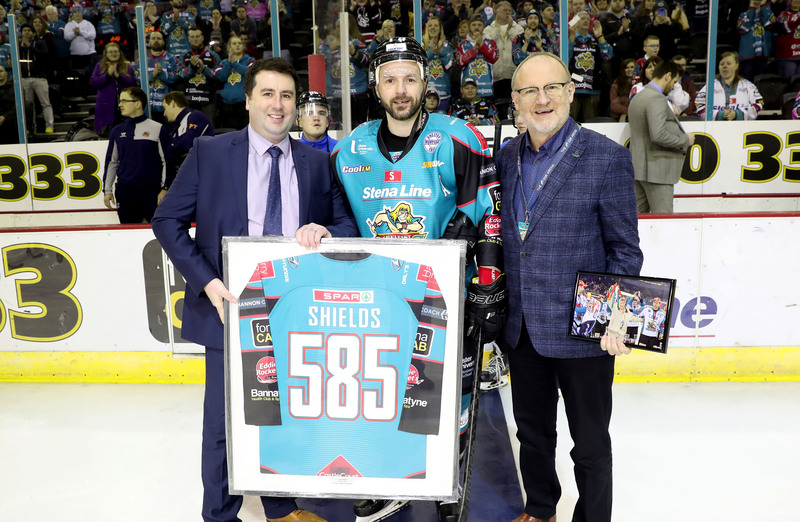 I hope that I am able to continue to be involved in the off ice part of the Giants and continue to help grow this amazing brand and organisation. The fan support I have had my whole career has been truly outstanding, through the college, professional and GB national team ranks. The support and love over the highs and lows is something that I will never forget. Belfast Giants fans have made me one of their own and I will never forget the passion that you have for the game, your team and your city. Teammates past and present, the friendship bond that you create with your team is something I always cherish. Spending countless hours with some of your best friends who would do anything for you is what family and the game is all about. My parents Martin, Margaret and brother David. I can’t express in words how much I appreciate the love and support you have given me throughout this whole journey. You sacrificed everything for your boys and gave us the best chance at life. My beautiful wife Claire. I have never met a more talented, driven, thoughtful person in my life. You understand everything about me and have given me more love than I could ever ask for and I look forward to this next chapter in our life. Ice hockey, I gave you everything and you didn’t let me down, for that I am forever grateful. Now lets enjoy these last few moments together.